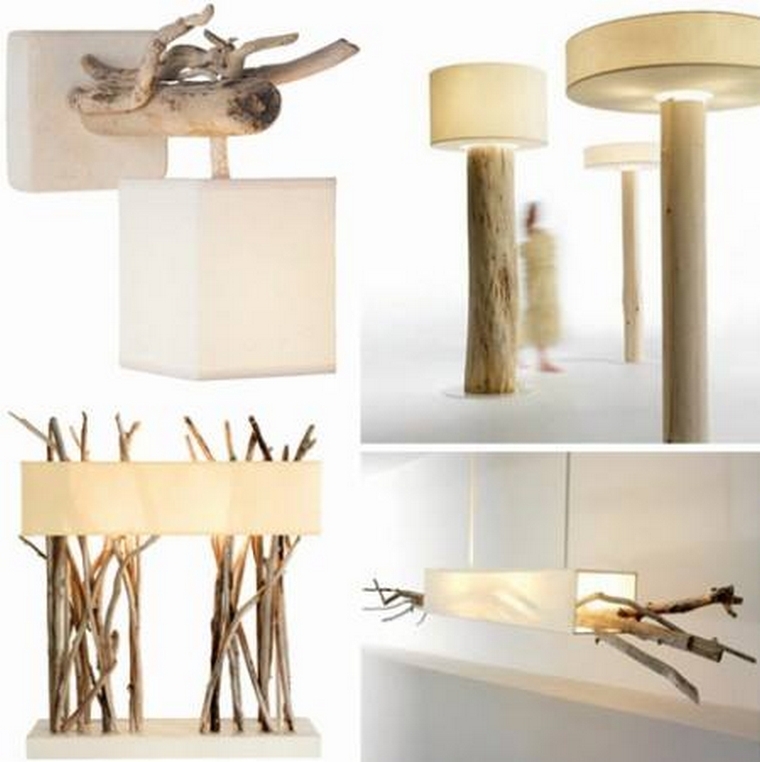 A table lamp is meant to be an essential accessory that is supposed to be the part of a well managed and designed room interior. And especially when the table is made with some artistic manner using wood as the basic material, this would literally make your place worth praising and admiration. 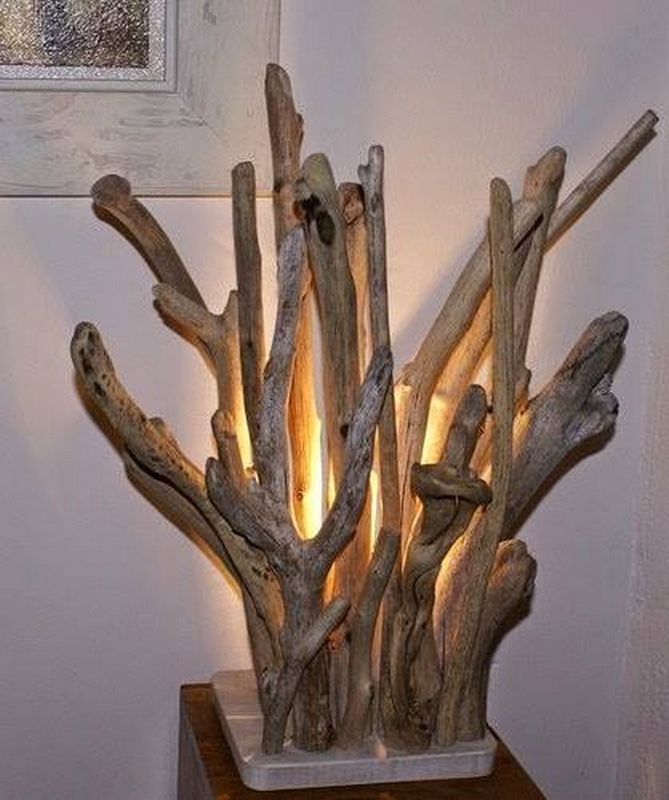 We have had a couple of projects where we made different table lamps and some random lighting installations using the wood pallet and also with the driftwood. 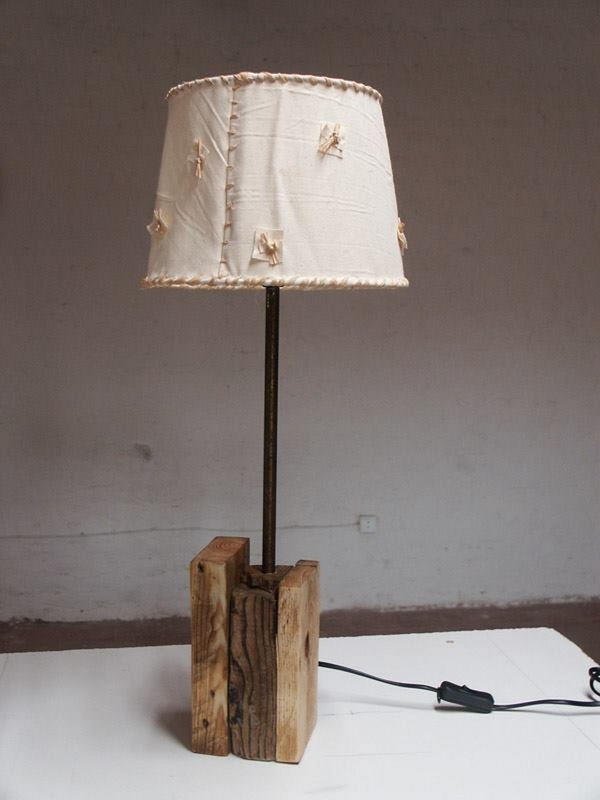 Here we have brought you guys some multiple ideas where lamps are made from the recycled wood. These arc like bent sticks all combined together seem to be brought from the harry potter or some magic sticks. 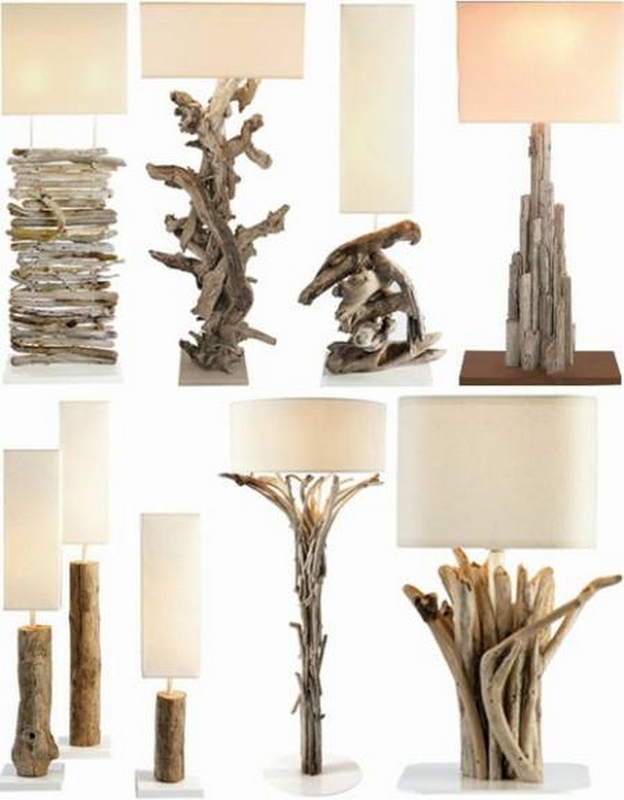 But don’t be amazed, these all are the driftwood pieces that we have collected from the beach for making this beautiful room lamp. 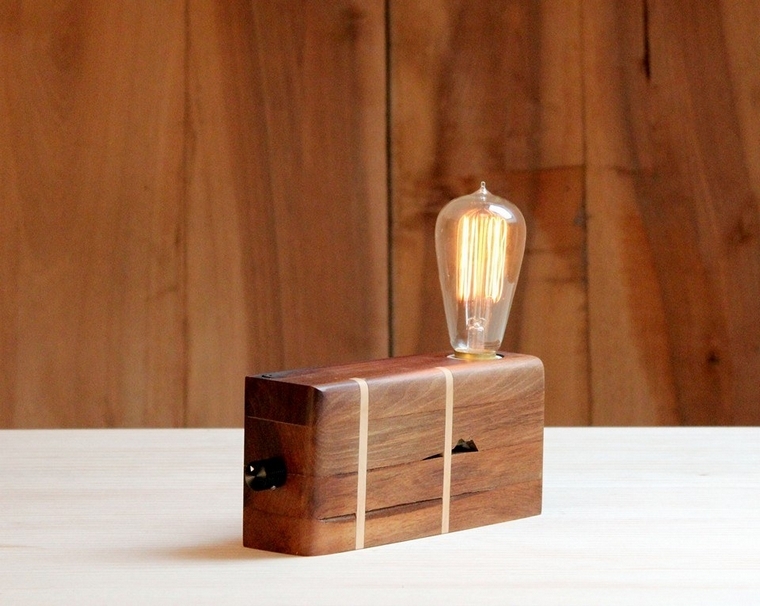 There is a simple Edison bulb right somewhere in the middle. Wow, I really like this one. This is a debarked wooden piece or slab that was cut and the inner surface of this piece is sanded properly. We have made a hole in the wood to cross the wire through the wood piece and the glass jar is fixed on the top carrying a tiny bulb inside. This is again a debarked wooden piece that was probably grabbed from the forest, as the roughness and deterioration can clearly be seen on the surface. We just made a hole like before for crossing the wire through, and the bulb is again fixed on the top. 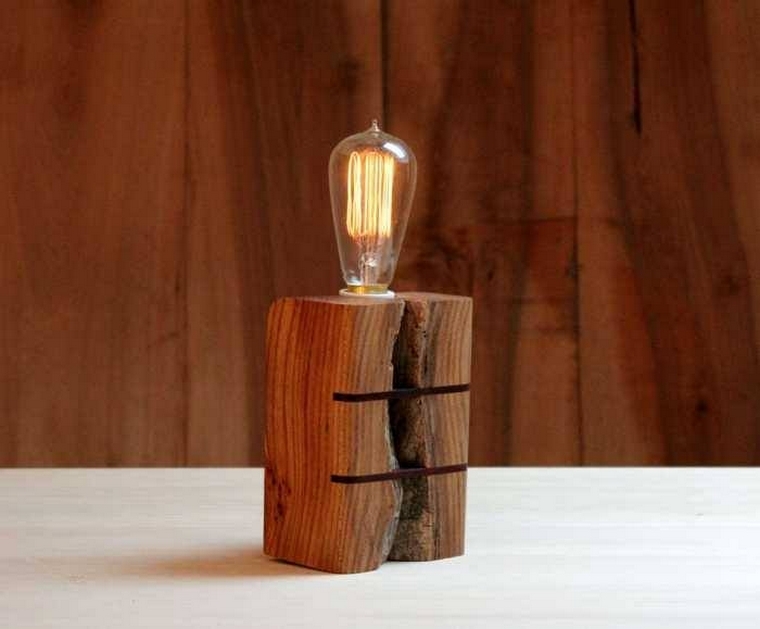 When you are having a real solid piece of wood, then you must not get worried about the shape whether this is broken or deshaped or whatsoever is the case with it. 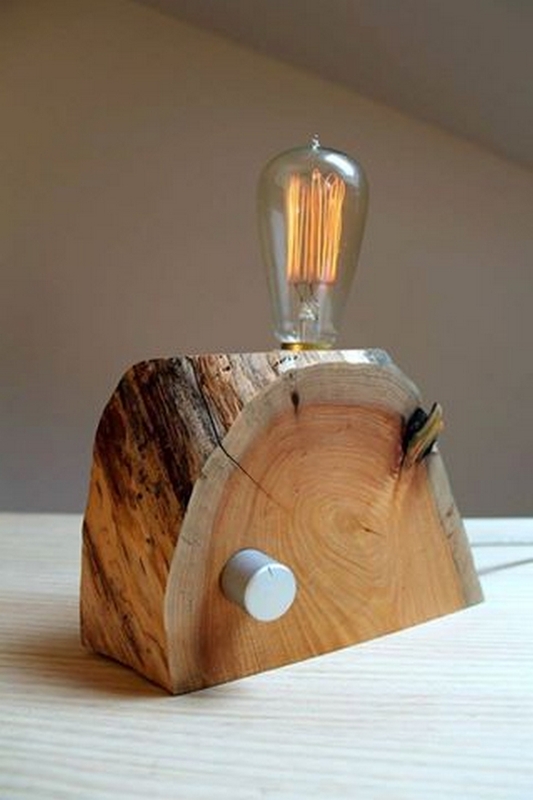 You can always turn it into some smart table lamp that would make an artistic appearance inside the room. 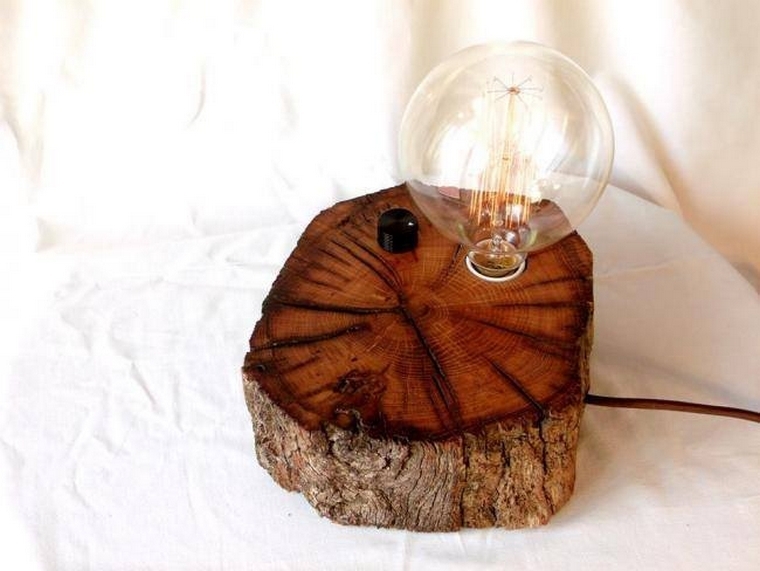 Seeing the fineness and finishing of this smooth wooden slab this is pretty clear that this is basically a reclaimed wooden slab that was being used for some other purpose and it had become useless and we turned it to be the base of a smart wooden lamp. 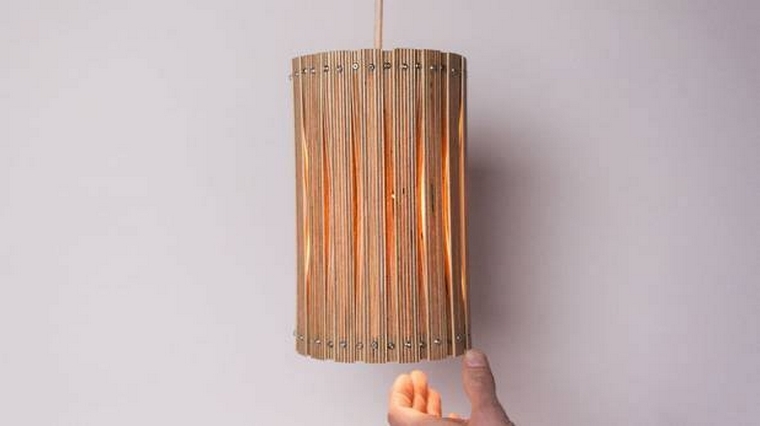 Wood is actually a timber that provides us with countless accessories of our daily use that we normally buy from the market against hundreds and sometimes thousands of bucks. And when it comes to the recycling, the wood is one of the bet materials that could be resorted to, no matter how worst condition it has got. 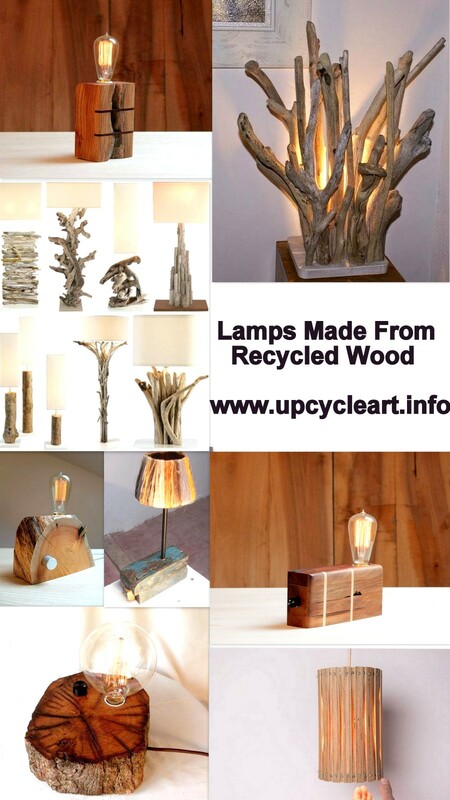 These are some of the craziest room lamps that we have recycled with most uneven and random rather ugly pieces of the driftwood that had not got any shape at all. 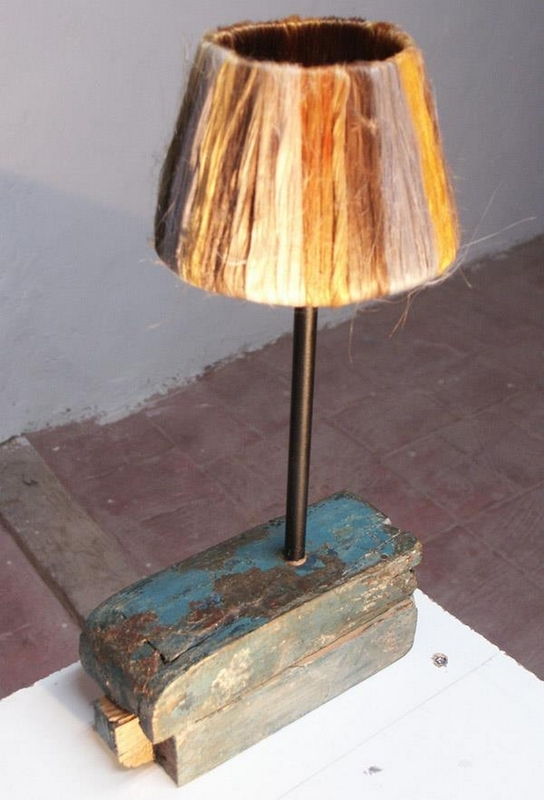 And obviously the shades were reclaimed from an old broken room lamp. 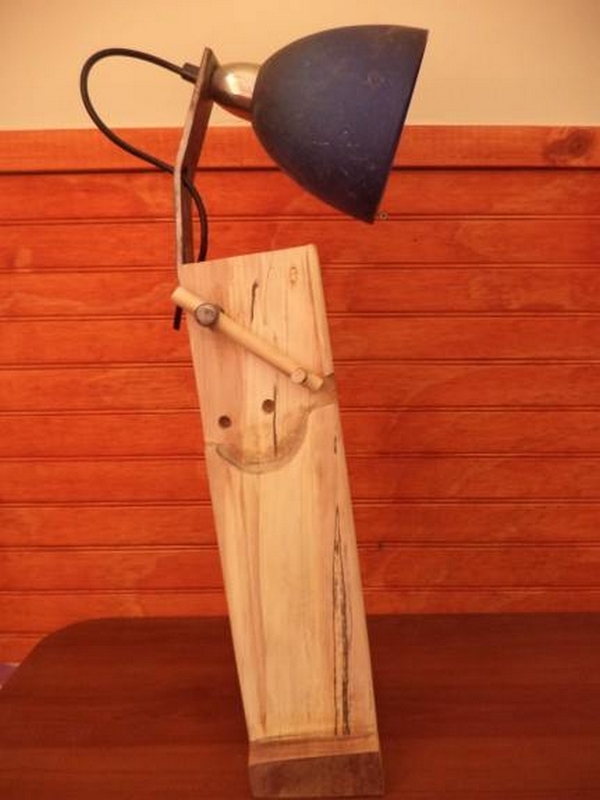 Despite of so ugly and deshaped wooden pieces that were actually the driftwood pieces, ultimately we have ended making something very classy that could be simply placed anywhere inside the house. But it takes a certain developed taste to like this sort of creations for sure.